Well done to Cienté’s Artistic Director, Hayley Welling for getting through to the “British Hairdresser of the Year” Eastern region. Read More: Hayley's a finalist again!! Joel Lai, Cienté's senior stylist and salon manager, was recently awarded with an invitation to visit Andrew Barton's new hair salon in Covent Garden. Joel's award was part of Cienté's Director, Trisha Buller's team award evening where Joel received his award for his continual outstanding customer service. Andrew star of "Ten years younger" was delighted to invite Joel into his stunning new salon, which Joel found impressive. Trisha Buller, Cienté Director, was invited by the Hairdressing Council to take tea at the House of Commons. Trisha invited her Creative Director, Hayley Welling, to join her for the tea party on Monday 21st June. Sam Langford, graduate stylist from Cienté Berkhamsted has successfully won herself a place with the British Fellowship of Hairdresser Clubstar Artistic team. Sam beat off competition from all over the country to become one of 14 up-and-coming stars to audition for this coveted place. Cienté’s Artistic Director and star, Hayley Welling, has made it through to the finals of the “Creative Heads Most Wanted One To Watch”. Watch this space for exciting news as it unfolds!!!!! Trisha Buller Director of award wining Cienté, Berkhamsted, flew her Creative director Hayley Welling and 2 senior stylists to Marbella at the weekend after being invited to help with the fund raising event for Children with Leukaemia. The event was held at the prestigious restaurant Villa Tiberio in Marbella attended by over 300 people, including TV Football commentator Andy Gray and PR guru Max Clifford. Cienté styled hair for guests and donations were given to the charity. The artistic team from Cienté Berkhamsted gave up there time to help raise £1500 for the "Pepper Foundation" at a stunning fashion show event held at Berkhamsted school. The event was the masterpiece of Emma Lacey and Nicola Simpson, both of whom are Cienté clients and whose children attend the school. It took months of planning and showcased 2 hour's worth of fantastic fashions from boutiques in the area. The first Cienté team awards were a personal commitment from Trisha Buller, Cienté's salon Director. 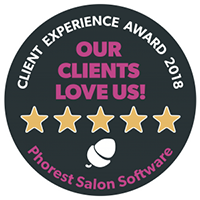 An informal champagne reception took place at the stunning Gatsby bar in Berkhamsted, and Trisha proudly praised her team’s dedication, passion and professionalism when representing her award winning salon. Trisha Buller, salon Director at the award winning salon Cienté, based in Berkhamsted has joined forces with The Hairdressing Council and members including Andrew Barton and Trevor Sorbie to become a State Registered Senior Hairdresser. Award winning salon Cienté in Berkhamsted has become the first local business to sign up to sponsor the BerkoAstro Appeal, the community project run by Ashlyns School and Berkhamsted Raiders CFC to provide a full-sized, floodlit all-weather football pitch and changing facilities for the town.